The most serious and immediate of threat is the draft Coastal Zone Management Plan for Wooli produced by the Clarence Valley Council (CVC) in October 2010. The basic strategy of the CZMP is progressive abandonment of much of Wooli village under a process termed Planned Retreat. This proposed abandonment threatens not only the history and community spirit of Wooli but also its unique environment, its tourist potential and the assets of many elderly retirees who have invested much of their savings in their Wooli homes. The second problem facing Wooli is that there is as yet no well-founded plan for managing the increase in coastal erosion forecast to happen progressively this century. Bureaucratic decisions to dismantle communities, made with minimal community consultation, set dangerous precedents. In response to the draft CZMP being released well over 100 Submissions were sent to Council detailing the scientific, economic, social, environmental and legal reasons why Wooli should be protected by a well researched solution rather than simply abandoned. The case for protecting Wooli was also well made in the Media with extensive coverage in newspapers and on TV. HOW CAN WOOLI BE PROTECTED? In October 2010 concerned citizens and friends of Wooli formed an association called the Coastal Communities Protect Alliance -Wooli (CCPA) to develop and implement plans for its protection. CCPA became an Incorporated Association later that year. CCPA’s initial plans are summarised in a Position Paper February 2011 with a Position Paper addendum as at April 2012. CCPA also commissioned an expert review on Wooli beach and options for defending it. This was conducted by ASR Ltd, an international firm specialising in the design and implementation of solutions for coastal protection. Their report, Wooli Beach Erosion, Moving Forwards concluded that many defensive options are available. However, there is very little information about Wooli beach processes upon which to choose the best beach protection strategy. Their key recommendation…. get the data, analyse it to understand the beach, then choose the solution(s). CCPA then set about persuading CVC and the NSW state government to follow this approach rather than jumping to planned retreat without credible supporting evidence. HOW MUCH WOULD PROTECTION COST? Answering this question accurately will depend on the Beach Protection Strategy (BPS) chosen. This could range from “soft” defences (eg rejuvenating the sand dunes) through to “hard” solutions (e.g.sand-bag walls, dredging, artificial reefs) or some combination of these. However, as ASR recommends, we must keep the horse in front of the cart and first do the research needed to determine the optimum BPS. The approximate cost for this research is $150,000 with a further $100,000 needed to develop the BPS (refer ASR report). While these amounts are significant they are certainly not prohibitive. When the BPS is complete it may well be that implementing and maintaining the eventual long term solution would require millions of dollars. However, that looks like good value when compared to the cost of Planned Retreat, estimated at almost $160m when the loss of properties and businesses are taken into account. Increasing coastal erosion is clearly not a problem for Wooli alone or even for the 19 hotspots within NSW. With so much of Australia’s population living on the coast this is a national threat. It will require new and creative approaches not only to find physical solutions but also funding solutions to pay for them. CCPA has proposed an initial range of options for funding solutions for Wooli. 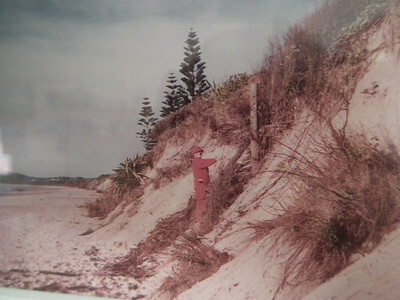 The Clarence Valley Council, like other local councils containing hotspots, was required by the previous NSW State Government to update the CZMP for Wooli to address the coastal erosion issue. With the change of state government in march 2011, The Hon. Robyn Parker, the new Minister for the Environment and Heritage extended the timeline for this updated plan to December 2011 and encouraged councils and communities to work together to find solutions. The Wooli community realised the major potential impact the CZMP could have and responded by forming CCPA-Wooli in November 2010. CCPA has continued to grow and as at October 2011 had well over 100 members with over 1200 supporters having signed the protect Wooli petition. CCPA has also formed a network of contacts with community groups at the other hotspots such as Belongil, Brooms Head, Old Bar etc. Closer to home CCPA has worked closely with the local DuneCare and Wooli Artists’ Gathering to raise funds and kick start dune regeneration. In addition to working with CVC and Minister Parker CCPA has provided regular briefings to Luke Hartsuyker, the Federal Minister for Cowper and to The Hon. Don Page, Minister for the North Coast and Local Government.